With the ever growing use of social media platforms like FaceBook, Twitter, Linked In to promote business, analyzing what the users feel and what feedback they share regarding the business is going to be of paramount importance. One such scenario is where the users post there feedback in images on the concerned company's social media pages. It is of great importance that the companies analyze what the users post on their social media pages as it will give them an overall idea of the sentiment of the users towards the services offered by the company, which in turn will help them plan their marketing strategies accordingly. 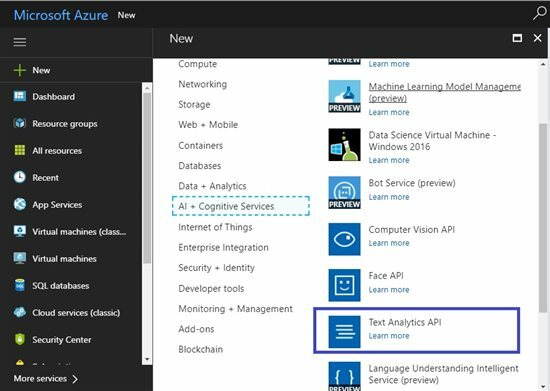 Microsoft Cognitive Services( formerly Project Oxford) are a set of APIs, SDKs and services available to the developers to make their applications more intelligent, engaging and discover able. Microsoft Cognitive Services expands on Microsoft's evolving portfolio of machine learning APIs and enables developers to easily add intelligent features such as emotion and video detection; facial, speech and vision recognition; and speech and language understanding - into their applications. Our vision is for more personal computing experiences and enhanced productivity aided by systems that increasingly can see hear, speak, understand and even begin to reason. This article explains the concept of the Sentiment analysis of the text detected from an Image using a Sample Console Application. The article assumes that the user is familiar with the basic concepts of C# and know how to consume the REST Apis in the C# code. In This Sample Application, images from a SampleImage folder are read and then the image is sent to the Computer Vision Api to detect the text from the image. 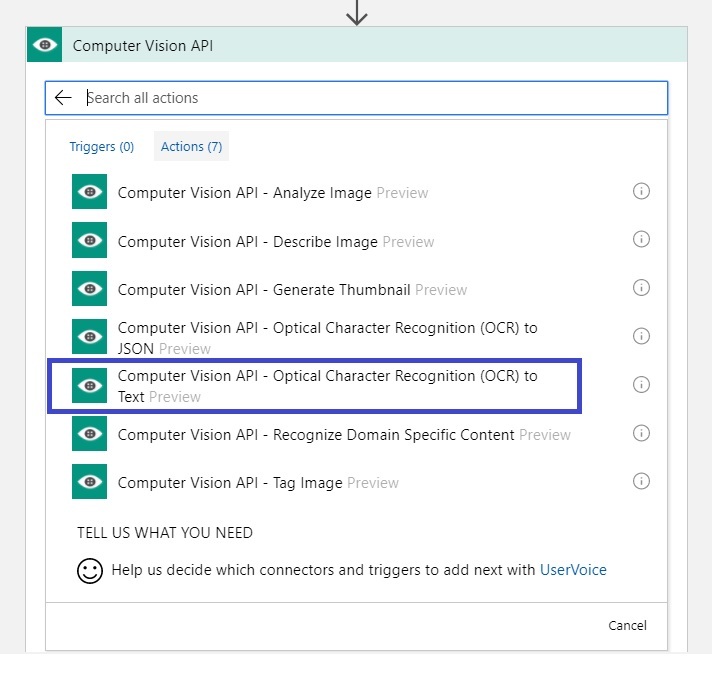 Once the Computer Vision api returns the json payload, the detected text is sent to the Text Analytics Api to detect the sentiment score. In order to use the Computer Vision Api in the Sample Application, first an Api account for the Computer Vision Api needs to be created. 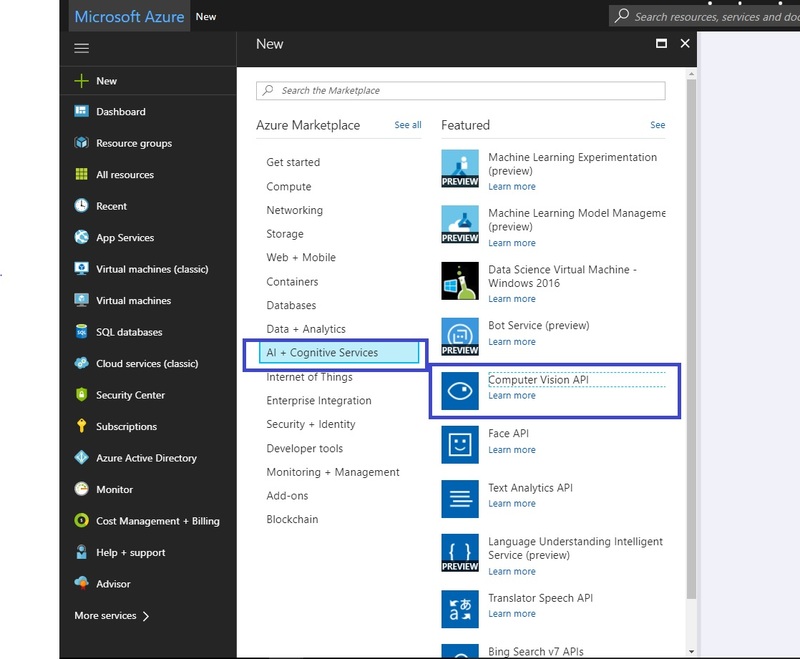 Once this is done, the Api will be available to integrate the Computer Vision Api in the Sample Application. Following screenshot shows the process to do so. 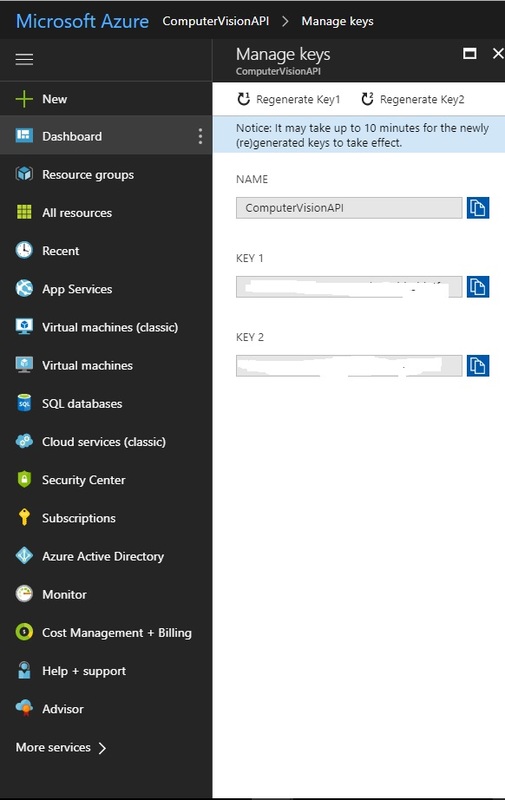 Once the API account is created, select the account from the dashboard and following window is visible, the access keys and end point are required from this window which will be used to create a connection to the Computer Vision Api. 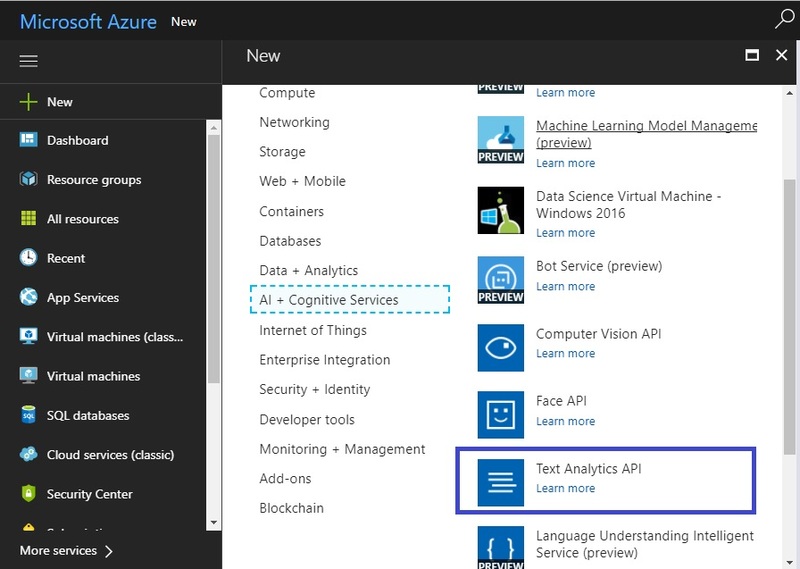 In order to use the Text Analytics Api in the Sample Application, first an Api account for the Text Analytics Api needs to be created. Once this is done, the Api will be available to integrate the Text Analytics in the Sample Application. Following screenshot shows the process to do so. Once the API account is created, select the account from the dashboard and following window is visible, the access keys and end point are required from this window which will be used to create a connection to the Text Analytics API. The constants class is used to store the constant values that are used across the application. Following is the constants class used in the application. 22. /// Uri for the Text Analytics Api to which the Request will be routed. Helper classes are created to cater to each of the Cognitive Api calls. One class caters to the Computer Vision Api call while other class caters to the Text Analytics Api call. Each of them is discussed below. This class caters to the calls made to the Computer Vision Api. In this current Sample the DetectTextInImage method in the class is used to call the Computer Vision Api. This method passes the image to the api in 'application/octet-stream' format. It deserializes the json payload into the class created earlier and extracts out the detected text. The class is as follows. This class caters to the Text Analytics Api call from the Sample Application. In current context, the DetectSentiment method in the class accepts the detected string as input. It then creates the json payload and then invokes the Text Analytics Api. 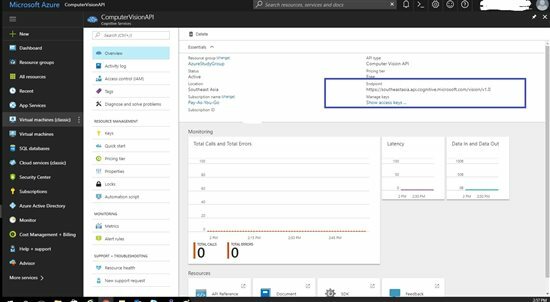 It Deserializes the json payload received from the api call into the response class and extracts out the sentiment score. This method is designed to pass only one detected text at a time to the Text Analytics Api, but it can be modified as required. The class is as follows. 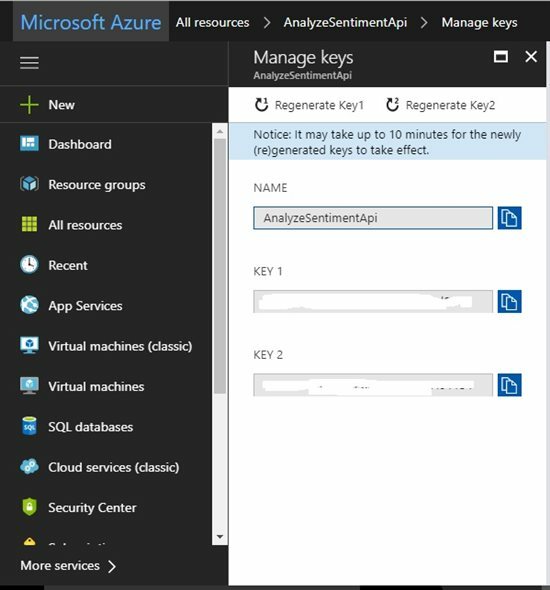 The console application, greets the user and advises user to ensure that the Subscription keys for the Computewr Vision Api and Text Analytics Api are generated and added to the Constants class. It then asks the user to confirm to proceed by Accepting [Y/N] input. Once done, it reads the files stored in the SampleImages projects and calls the helpers on each of the images. Following is the Console Application class. Following are the images that were used to test the Sample application. Actual result for the text analysis for the text detected from above test messages when done on the Microsoft Demo Page ( For Details See References) are shown below. Visual result for the sentiment analysis of the text in the first test image is as shown below. Visual result for the sentiment analysis of the text in the second test image is as shown below. The test results as observed from the Sample Console Application as well as from the Microsoft Demo Tool are exactly the same proving the successful consumption of the Computer Vision Api and Text Analytics Api. Following links can be used for extra reading related to the topic discussed in this article. Following material was referred to while writing this article.